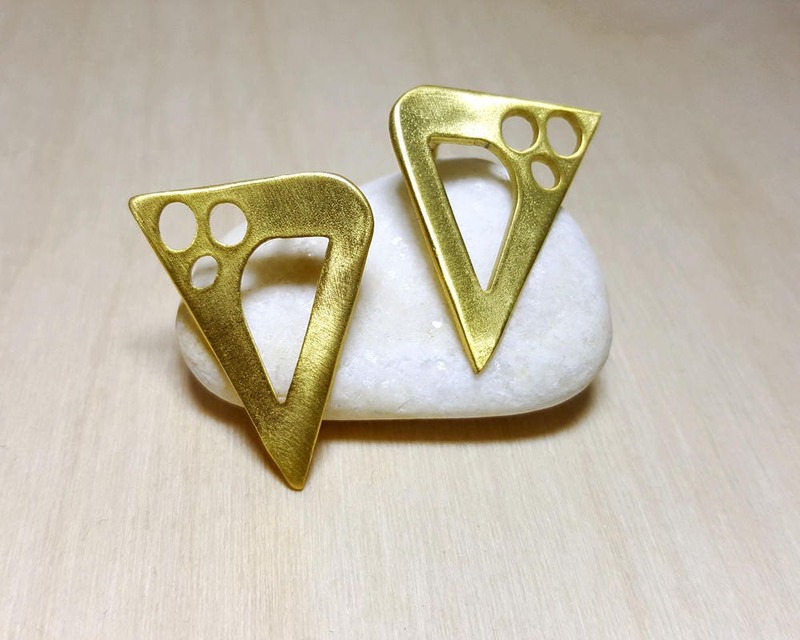 Triangle geometric stud earrings made from brass. 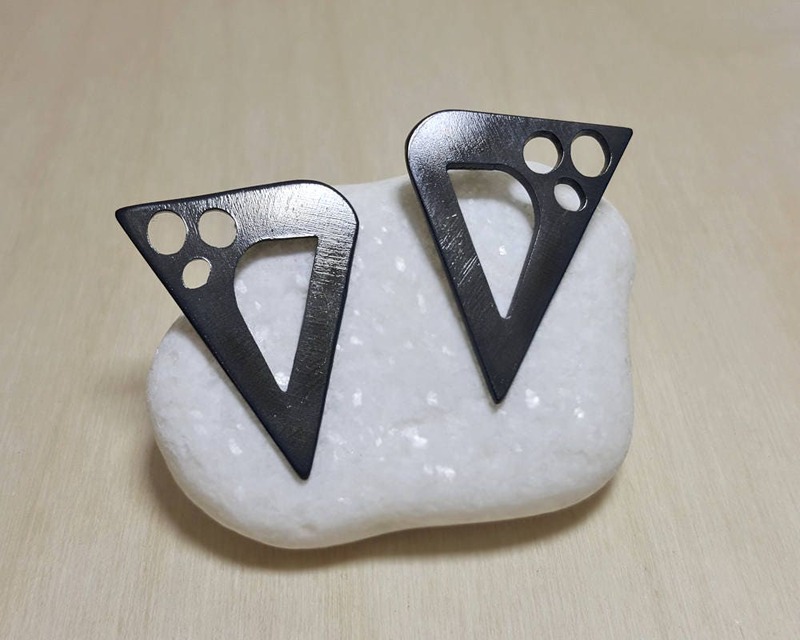 The parts of the earrings that touch your ear are made from sterling silver 925 to avoid allergies. They will fit perfectly any outfit, morning to night. 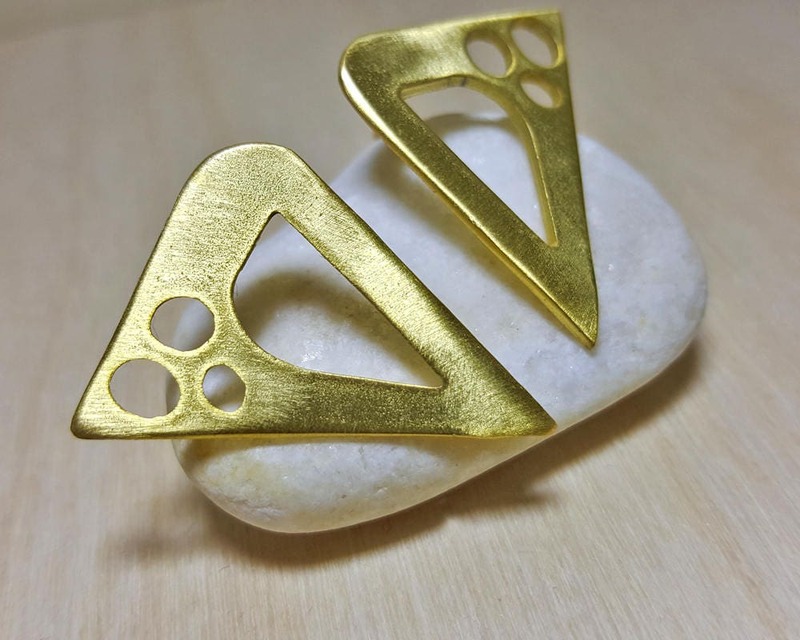 A wonderful gift idea for all women that love geometric and modern earrings. 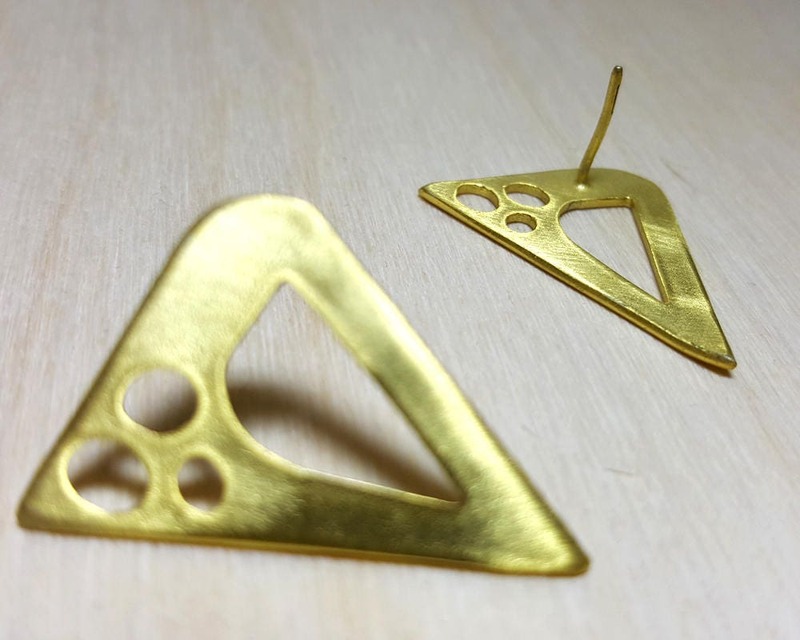 > Triangle earrings made from brass. Available in silver plating, gold plating or black platinum plating. 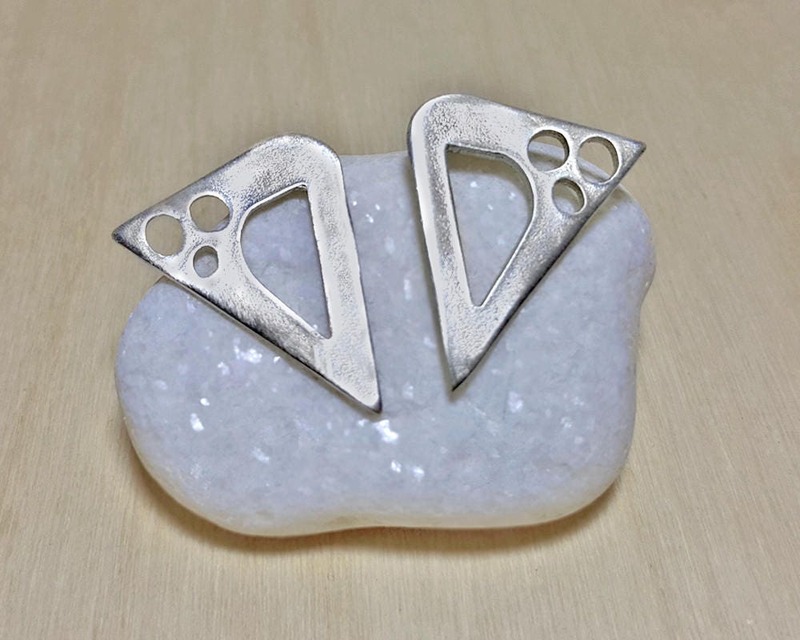 > Also available in sterling silver 925 if you want the perfect combination of timeless and affordable jewelry of great value (Production Time: 7 business days - Cost: 60 Euros). Τριγωνικά καρφωτά σκουλαρίκια που θα προσθέσουν μία μοντέρνα πινελιά σε κάθε σας εμφάνιση. > Γεωμετρικά σκουλαρίκια φτιαγμένα από ορείχαλκο. Διαθέσιμα σε πλήθος επιμεταλλώσεων: επάργυρη, επίχρυση ή μαύρη επιπλατίνωση.